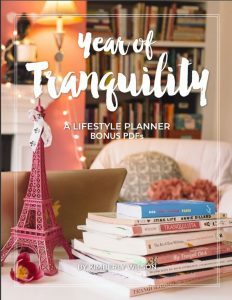 As a perk to all of Kathy’s podcast listeners, enjoy an assortment of over 25 colorful 8.5 x 11 PDFs (manifesto, wellness planning, budgets, time tracking, inspiring quotes, and more) from my latest book, Year of Tranquility. You’ll also find a bonus weekly layout that’s not included in the book. To get a dose of love straight to your inbox and gain access to Tranquil Treasures, sign up for Love Notes. Tune in to the Tranquility du Jour podcast for inspiration from artists, activists, and authors making a difference. Join me for four free annual events, TDJ Live, where we reflect and dream at the start of each season! Thank you for stopping by my corner of the internet. I hope we’ll connect again in person, online, or in spirit.